Living well pain-free is just around the corner. Chiropractic care offers a drug-less, natural approach. ACT Wellness Center, Best Chiropractor, Serving Woodbridge, VA For 20+ Years! Welcome to Wellness! 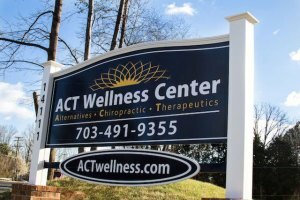 ACT Wellness Center is a family chiropractic care center that specializes in natural and alternative solutions to achieve optimal health, correction and pain management in Woodbridge, VA. Our chiropractor, Dr. Caratozzolo (Dr. C) has been practicing chiropractic in Woodbridge since 1998. He is a Certified Chiropractic Sports Physician (CCSP) and a Chiropractic Extremity Practitioner (CCEP) and has been voted Best Chiropractor Woodbridge, VA 9 years in a row! Dr. C is more than just a back doctor--he is dedicated to promoting wellness in all aspects of his patient’s lives! He believes that there is a more effective way for everyone to achieve their best quality of life and reach their full potential. Whether you are managing an immediate injury or looking for a long-term holistic lifestyle, we proudly serve our clients to meet their desired health goals. At ACT Wellness Center, we are enthusiastic about combining chiropractic services with wellness services to help people of all ages! From the new born to the elderly, Dr. C has helped many people who thought they could not be helped. Serving our community with excellence, our family chiropractic office in Woodbridge will provide the best care to each and every member of your family. We provide natural based treatments that incorporate key aspects of health and wellness that are fundamental for your long-term health. Unlike other back doctors in Woodbridge, VA our services are aimed to treat the underlying condition you suffer from, not just the symptoms. Dr. Caratozzolo uses chiropractic adjustments, nutrition, supplementation, detoxification, functional exercise programs, cold laser therapy and PEMF therapy; these are just some of the treatments he integrates for your natural pain management care. Look no further for a chiropractor in Woodbridge. We’ve helped many people who thought they couldn’t be helped. We have found the majority of our visitors are referred here by our existing clients. We thank them for voting our office Best Chiropractic Woodbridge, VA and voting Dr. Caratozzolo Best Chiropractor Woodbridge, VA – 9 years in a row! We always welcome new patients. From infants to the elderly, we’re here to serve all of your family chiropractic needs. Our goal is to improve patient wellness and “quality of life” rather than just treat symptoms. Give us a call at (703) 491-9355 and come visit us at 14111 Minnieville Road, Woodbridge, VA 22193. Bones are the framework and the pathway for your body’s most vital functions. Our spines in particular hold bundles of thousands of nerves. Chiropractic Sports Physician’s specialize in drug-free sports performance and injury management. We help to get you back in the game sooner! Empowering your kids to live healthier lives! If you would like your kids to grow up strong, healthy and happy, we can help. Don’t your children deserve the very best? Cold laser treatments at ACT Wellness Center with the Erchonia Cold Laser are programmed to address your specific needs. How do you know you’re getting the right amount of nutrition? Are you taking too many supplements? A science-based blood test gives us insight into what we can’t see. Pulsed ElectroMagnetic Field Therapy (PEMF) has been around for decades; Europeans have successfully used it for over 40 years. Did you know there are 5000 sweat pores at the bottom of your feet? Your body naturally perspires and respirates through your feet. Certified Chiropractic Extremity Practitioner’s are doctors of Chiropractic who correct functional problems of joints such as shoulders, ankles, elbows etc. The theory is that the ear contains nerve endings and pressure points which can be directly stimulated, achieving an effect on a different part of the body.